Most attorneys are responsive when they want to bring you on as a client. As time goes on, however, your important legal matters can slip to the back burner and your calls may go unreturned. At the Blacha Law Office, that will never happen to you. The attorneys and support team at Blacha Law Office bring a genuine concern for each client to every case. We emphasize clear communication and our focus is on achieving our clients' goals. Founding attorney Monika Blacha is a mediator with a background in complex litigation that extends back to 1999. She founded Blacha Law Office with the clear mission of providing the utmost in personal attention and effective representation to people facing a broad range of legal issues. The firm serves clients in divorce and child custody, post-decree litigation, estate administration and probate as well as guardianship. In 2010 and 2013-2014, Ms. Blacha was selected for inclusion in Illinois Super Lawyers Rising Stars. 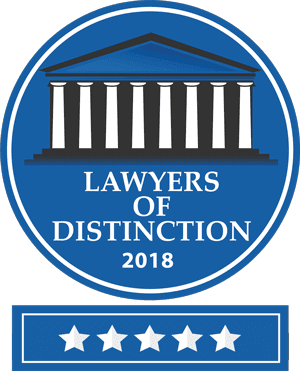 In 2016 and 2018–2019, she was selected for inclusion in Super Lawyers by her peers. This publication appears annually in Chicago Magazine. The law is about personal issues, and we believe you deserve a lawyer who will give you personal attention every step of the way until your case is resolved. Our law office has an internal website for you to view all of your case documents, pleadings, orders and correspondence. For more information about our lawyers' background and credentials, please click on the respective links. Call 630-283-1987 or email the firm to request a free initial consultation focused on your specific legal needs. We have offices in Naperville, Burr Ridge, Chicago and St. Charles, and we serve clients throughout DuPage, Will, Cook, Kane and Kendall counties.